The double twist columns must be understood from the standpoint of Gaudí’s desire to constantly push the envelope. 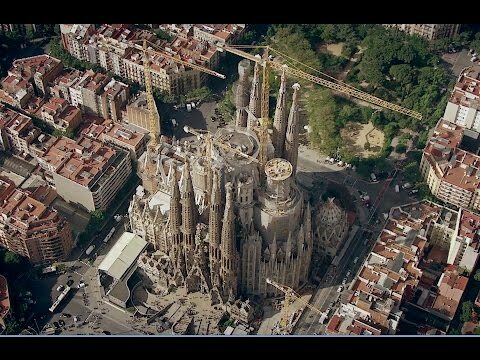 He had experimented with columns with helicoidal movement a lot, at Park Güell and the temple, and the helix shapes gave them a feeling of upward movement. This dynamism draws the observer’s eye upwards, connecting the earth and the heavens. Smooth, cylindrical columns without any decoration, created simply by extruding the circle from the base, like the columns at the Pantheon in Rome. Greek columns, engraved with vertical striations running from top to bottom, with the Parthenon in Athens as the perfect example. Solomonic columns, typical of Baroque architecture, with an ascending helical twist. The columns on the baldachin of St. Peter’s in the Vatican are a good example. In this article, we’ll look at how the double twist column he came up with is a synthesis of these three historical models, as it includes the circle, striations and helical twist. To understand how Gaudí came up with this solution, it is important to follow his path, which as always was highly practical and empirical. Let’s imagine a cylinder of fresh plaster, still malleable, and a wood template with a hole in the centre shaped like a star with rounded points, which Gaudí was using at the time as the cross-section of the columns. If we put the template over the column and drag it down, it will shape the cylinder leaving striations from top to bottom if moved in a straight line parallel to the axis of the cylinder. Gaudí, however, introduced the twist. So, by twisting the template as it moved down the column, like turning a steering wheel, the cylinder was engraved just like a Solomonic column, with the helicoidal path of the helical twist. That wasn’t anything new, but what was new was doing a second pass with the template, this time twisting in the opposite direction. This time the path is not the same. The template removes the extra fresh plaster again and the result is two overlapping Solomonic columns. This new column, starting from the star to end in a circle, is thinner at the top, which gives it a svelte, elegant look, and adds more and more striations until it finally becomes a circle. The shaft of the column generated this way is divided into sections, because in order for it not to return to the original star shape cross-section and blend progressively towards a circle, each time the number of points doubles, the previously eliminated parts accumulate and a new section is created. See below how the simultaneous rotation in two opposite directions generates, in three sections, the different cross-sections which successively increase the number of arrises as the column rises. In each section, in order to double the number of points, it takes half the height and half the rotation each time. We know that, for Gaudí, meaning and form are inseparable, and we can see this here too. By drawing a star on the ground (the shape of the base of the column) and moving it in helicoidally upwards, it is clearly connecting the earth and the heavens. Furthermore, by repeating this movement twice (passing the template over the column two times in opposite directions), we are reminded that Gaudí left notes that the columns were dedicated to the saints of the various dioceses in Catalonia and the world, with the saints ascending into heaven and the angels descending to meet them. So, this can give us the key and make us think of everything that could have been in Gaudí’s mind when he decided to run the template over the column twice, in opposite directions. The main columns inside the temple follow a hierarchy based on the what they have to support from a mechanical or structural standpoint. First we have the columns on each of the four corners of the crossing, which have to support the load of the central lantern of Jesus Christ, as well as part of the weight of the four towers of the Evangelists that surround this lantern, plus the proportional part of the vaults and roofs along the way. For this reason, they are the most important columns. Second are the eight columns that bear the load of the towers of the Evangelists. They are also located on the crossing, behind the first group. After that, we have the columns in the apse and nave. While those in the apse bear the load of the tower of the Virgin Mary, they are very close together and the same as those in the nave, which support the vaults and attics on the central nave and part of the side nave. Finally, the columns that separate the side naves from the main nave bear the weight of the choir and the side nave. They are the lightest in terms of load. 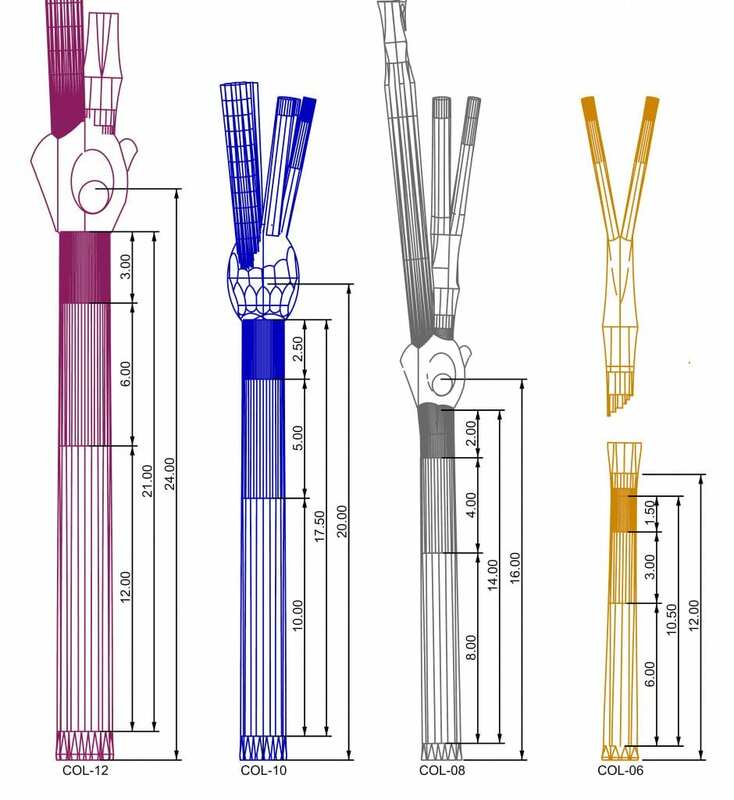 Gaudí used all the tools at his disposal, as an expert who explains and organises didactically, to differentiate these four types of columns. The differences, therefore, can be found in the star-shaped base, the diameter, the height and the type of stone used. The first thing that sets the columns apart is the shape of their base, the star. This has led us to refer to the columns by the number of points on the stars used for the base. So, the column with the most has twelve points. It is, therefore, the most important from a hierarchical standpoint. To make these stars that define each of the groups of columns, Gaudí always superimposed simpler regular polygons: the equilateral triangle, square and pentagon. So, to make the six-pointed star, he superimposed two equilateral triangles; for the eight-pointed star, two squares; for the ten-sided star, two pentagons; and for the twelve-sided star, three squares. Therefore, the four columns on the crossing have twelve-pointed stars; the eight columns with ten-pointed stars are those of the Evangelists; the columns in the nave and apse have eight-pointed stars; and those on the side naves and the choir, six-pointed stars. In each case, the points of the star are sharp on the inside and rounded on the outside with tangential parabolic arches. This creates a softly undulating surface at the bottom of the column, where visitors can touch them. The total height of each column is always, in metres, double the number of points on the star, broken down into the base, shaft and capital. The height of the bases is always the same as the number of points in decimetres, while the shaft is always the sum of the first three sections it is broken down into. 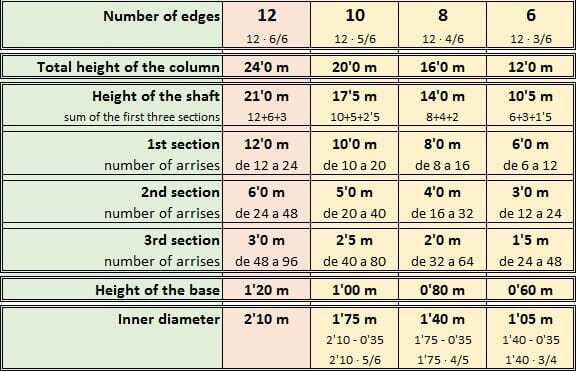 Additionally, the inner diameter of each column and the height of the shaft follow the same relation of 1/10, meaning the height of the shaft is always ten times its inner diameter. Also, multiplying the number of arrises to infinity, until you get a circle, would complicate the stone-cutting process, so Gaudí simplified it by creating ellipsoid capitals that hide the other sections. This way, the circle isn’t visible; it is hidden inside the ellipsoid of the knot or capital. 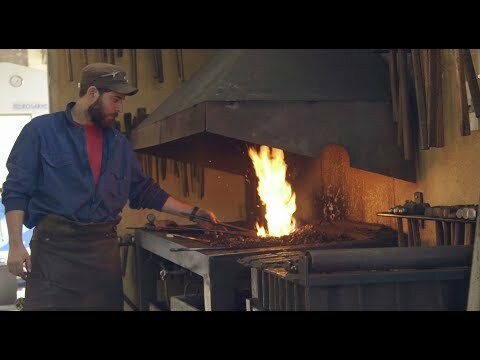 Gaudí used the materials laboratory at the then recently opened Escola Industrial on Carrer del Comte Urgell to get empirical data on the strength of a wide variety of types of stone. With this study, he determined that the twelve-pointed columns, on the crossing, would be covered in red granite porphyry, the strongest stone used in construction. The ten-pointed columns, under the towers of the Evangelists, are clad in black basalt. The eight-pointed columns are grey granite and the six-pointed ones, yellowish sedimentary sandstone. Despite these trials, Gaudí himself realised that the structural requirements for these columns were greater and considered using iron columns because, as was reflected in his conversations with architect and collaborator César Martinell in 1915, conventional solid stone columns would have to be so big they would eat up the space on the temple floor. In the end, he used reinforced concrete, as his right-hand man Domènec Sugranyes explained in 1923 at a conference he gave to architects from Catalonia on the structure of the temple. Therefore, the selection of the materials respected the initial criteria of the structural hierarchy, as these materials also significantly differ in colour, differentiating between the elements and enriching the interior of the temple with the natural colour of each material. Nevertheless, these materials are only the exterior cladding protecting the real structure, in reinforced concrete. 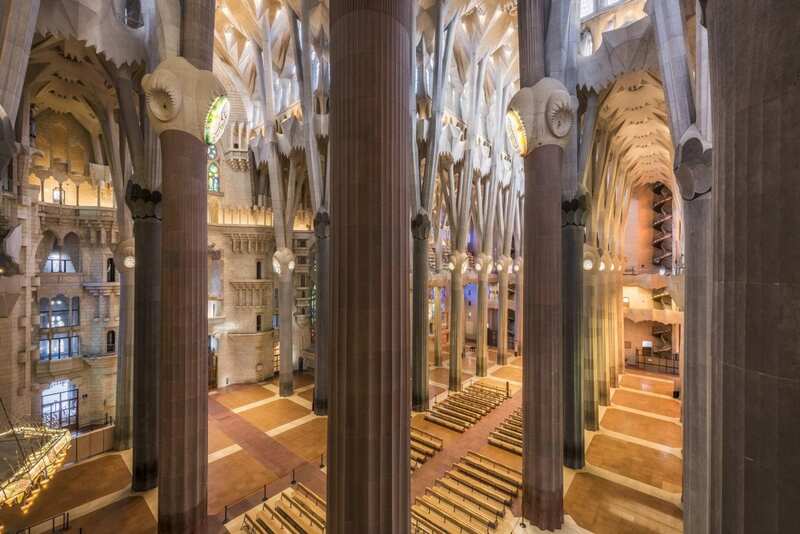 The main arguments Gaudí came up with for creating tree-like columns, with branches spreading out to the centre of gravity of each part of the vaults, were based on structural mechanics. Gaudí took advantage of this to shape his architecture, which ends up taking on the appearance of a lush forest. Because he wanted a space for quiet worship and inner peace, with light filtering in through the leaves, open between the trunks, possibly like the scene his friend poet Mn. Cinto Verdaguer described in his poem about Fageda d’en Jordà. PhD in Architecture from the Polytechnic University of Catalonia with thesis entitled Geometry and mechanics in Gaudí's models. Member of the Sagrada Família Project Department. He has also taught at several universities. At the Basilica, he has been in charge of the projects for the apse vaults and Passion sacristy, among others. 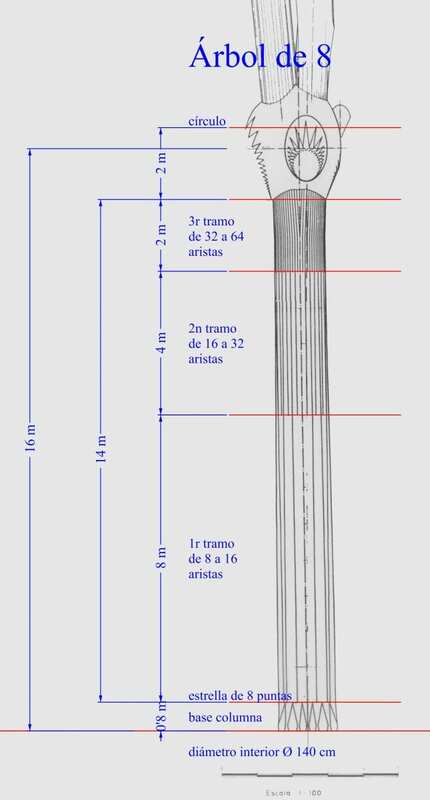 After working on the great hyperboloid for the tower of the Virgin Mary, he is currently working on the project for the Glory façade. Hello, according to certain sources Gaudi at a point planned to build one section of the transept, the one joined to the Nativity facade. Of this plan, only foundation of one 8-sided column (the one dedicated to the diocese of Tarragona) was reportedly build in 1921, made of concrete reinforced with steel bars. I would like to know whether this foundation was used in modern times or if it was demolished and replaced with the modern solution using piles foundation. Thank you for your interest. When laying the new foundations for the transept and the naves, we came across this structure, which was only partially preserved. The project for the foundations was modified in this area to adapt to the conditions as much as possible. The new calculations called for more modern foundations, with deeper pylons than the rest of the nave, which only here will be built around the old structure. 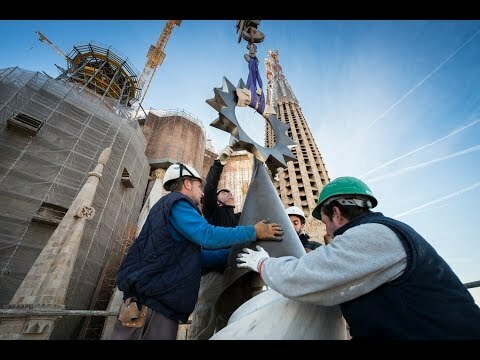 I am looking for some engineering information on the Sagrada Família for a university project (structural engineering). I was wondering if you could recommend where to look or whom to talk to? Any guidance you can offer would be greatly appreciated. Thanks! 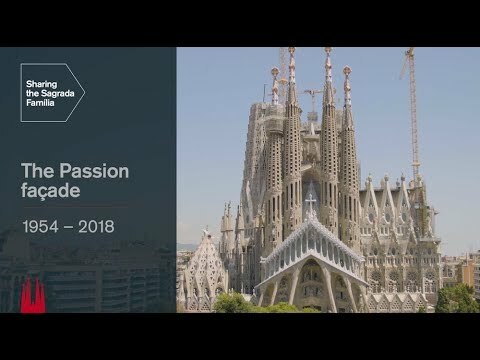 please contact directly with the documentation center (option ‘Archive’), and they will help you https://sagradafamilia.org/en/contact. I am very pleasant after reading this post. Thanks for posting your blog here.